1 Chancel, N and S transepts, N and S aisles, nave, central tower, and modern vestry. 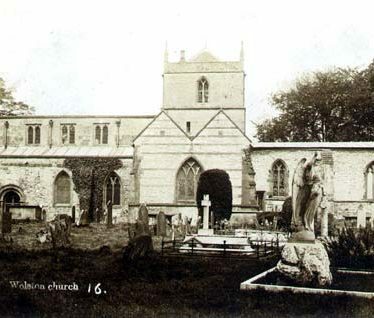 Dates from the 12th century, when it probably consisted of chancel, nave and S transept, and a low central tower, the N transept being added early in the 13th century. Church rebuilt 14th century with the addition of aisles; in the 15th century a clearstorey was inserted, and in the 17th century the low tower was raised to form a belfry. Of the 12th century church the tower crossing remains, with the 13th century arch to the N transept, and the N doorway re-used in the 14th century S aisle. Chancel roof extensively repaired in 1680 and decorated in colour in 1760. 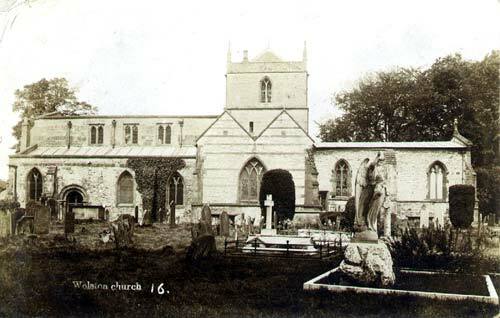 The church is recorded in 1090, when it was given to the abbey of St Pierre-sur-Dive. 4 The church is a mixture of styles externally. Norman S doorway. Chancel of c1300. Central tower is a replacement of 1760 by Job Collins. Internally the church is much more interesting. Crossing is entirely Norman, with high W and E arches, and the N and S arches so low that instead of transepts proper there can only have been small chambers. Nave and S arcade apparently of early 14th century; N arcade a little later. Sedilia and piscina in chancel; in the S transept are two big tomb recesses with effigies of c1300 (one badly defaced), a sedile and a piscina, also an early 16th century monument. Font probably 17th century. 5 18th century vestry. Church restored 1860. 6 Noted by Ordnance Survey. 8 Map showing the village with annotations of cropmarks. Findspot - a Medieval bronze buckle and silver coin were found 800m east of Stretton Road. Several linear features of unknown date are visible as cropmarks on aerial photographs. 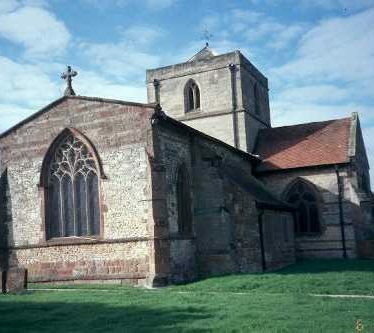 They are situated 1km east of Wolston. Pits and ditches containing a small pottery assemblage were recorded during evaluative archaeological fieldwork. These features indicate the remains of a small settlement, probably a small farmstead in proximity to the Fosse Way. The possible site of a Medieval building, the evidence for which is an earthwork. A Medieval floor tile was found at the site which lies 400m south west of Furlong Pit Spinney. The Parish Church of All Saints. It was built during the Medieval period, with later alterations and additions through to the Imperial period. 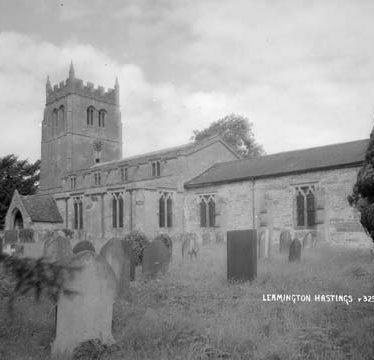 The church is located in Leamington Hastings. 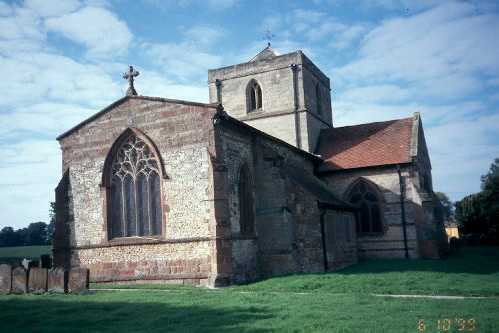 The Parish Church of St Botolph, originally built in the Medieval period. 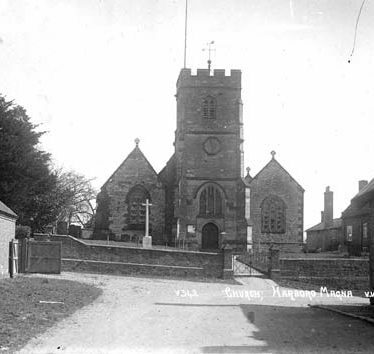 Alterations were made to the church from the 13th century onwards. 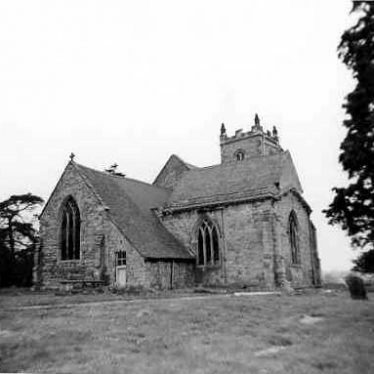 The church is located 150m north east of Botolph Well, Farnborough. The church of the Holy Ascension dating to the Imperial period. 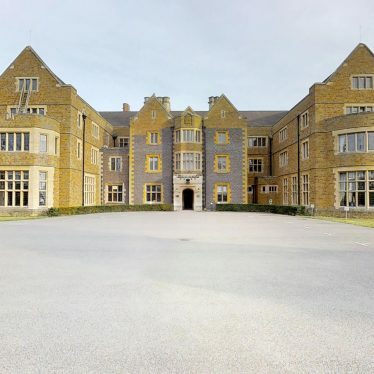 It is situated 200m north of Common Lane, Mappleborough Green. 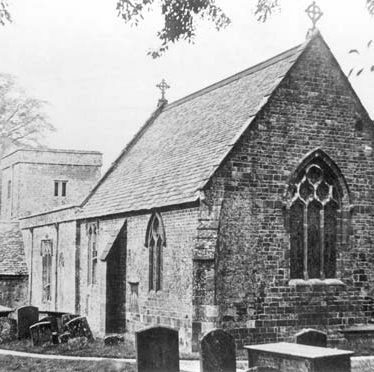 Tidmington Church. The earliest parts of the building date to the Medieval period, but it was been partly rebuilt during the Post Medieval and Imperial periods. It is located 250m north east of Tidmington.